If you follow me on instagram, then you know that I have spent the last week on my feet and in front of the stove. After all of the berry/fruit picking that I did last week, I have a lot of jam, jelly and pie filling to show for it. I started with the Strawberry Lemonade Jam and continued on with Lemon Blueberry Jam, Old-Fashioned Raspberry Jam, Triple Berry Jam, Raspberry Compote, Cinnamon-Spiced Strawberry and Peach Preserves, Blueberry Pie Filling, Old-Fashioned Peach Jam and finally, today, Watermelon Jelly. It's a hard call to say which one is my favorite, but I think I have it narrowed down to the Peach Jam and the Strawberry Lemonade Jam. One thing that I made with all those berries was a Blueberry Sour Cream Pie and oh, man was it delicious! 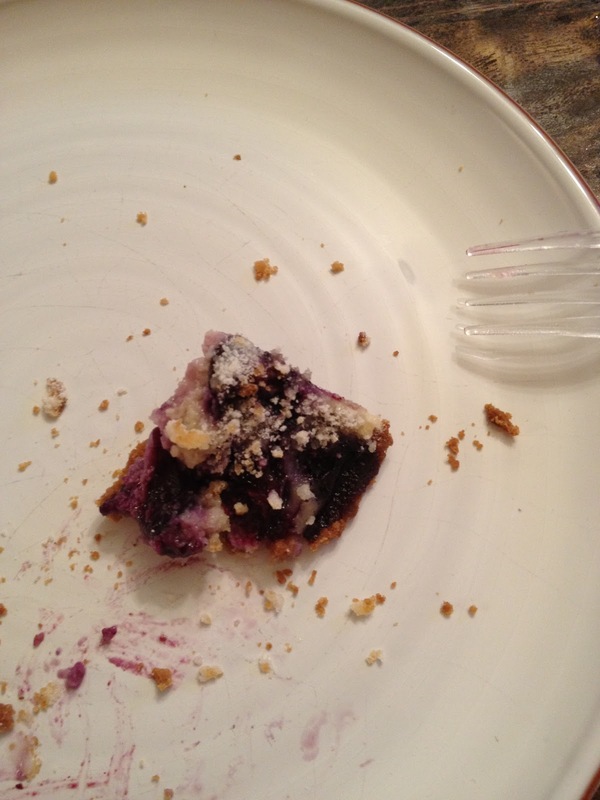 It was creamy, smooth, perfectly sweet and had that fresh juicy taste of blueberries in every bite. I'm normally not a fruit pie fan at all, but there was something special about this. It was almost like cheesecake, but it definitely had that sour cream flavor to it. It was divine. I made it for a group of friends who came over for a barbecue and not a single person was disappointed. In fact, I think it was the only time all day that no one had anything to say! That's a sure sign of a good pie! Combine sugar, flour and salt in a small bowl; set aside. In the bowl of your mixer, beat sour cream, egg and vanilla until blended and smooth; scrape down the sides of the bowl and the beater during mixing at least once. Slowly add sugar mixture to sour cream mixture and stir until thoroughly combined. Fold in blueberries by hand. Pour into frozen crust and bake for 25 minutes. 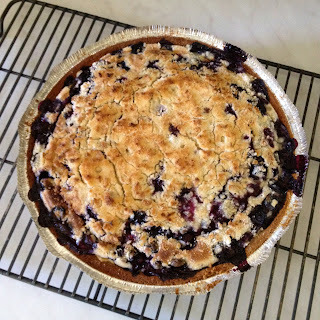 While pie is baking, combine flour and sugar in a medium sized bowl to make the topping. Using a pastry blender, cut butter into flour mixture until butter is rice-sized. Some bigger chunks are ok. Sprinkle evenly over the top of the pie and return to the oven for an additional 10 minutes. You may need to broil the top of the pie for even browning (and to avoid overbaking the pie) but be careful to watch it so it does not burn! 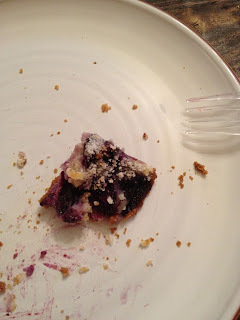 Click here for the original link for the blueberry pie, and here for the graham cracker crust.